Paris, 20 June 2007 - Climate change worries coupled with high oil prices and increasing government support top a set of drivers fueling soaring rates of investment in the renewable energy and energy efficiency industries, according to a trend analysis from the UN Environment Programme. The report says investment capital flowing into renewable energy climbed from $80 billion in 2005 to a record $100 billion in 2006. As well, the renewable energy sector's growth "although still volatile ... is showing no sign of abating." The report offers a host of reasons behind and insights into the world's newest gold rush, which saw investors pour $71 billion into companies and new sector opportunities in 2006, a 43% jump from 2005 (and up 158% over the last two years. The trend continues in 2007 with experts predicting investments of $85 billion this year). In addition to the $71 billion, about $30 billion entered the sector in 2006 via mergers and acquisitions, leveraged buyouts and asset refinancing. This buy-out activity, rewarding the sector's pioneers, implies deeper, more liquid markets and is helping the sector shed its niche image, according to the report. While renewable sources today produce about 2% of the world's energy, they now account for about 18% of world investment in power generation, with wind generation at the investment forefront. Solar and bio-fuel energy technologies grew even more quickly than wind, but from a smaller base. Renewables now compete head-on with coal and gas in terms of new installed generating capacity and the portion of world energy produced from renewable sources is sure to rise substantially as the tens of billions of new investment dollars bear fruit. Says UNEP Executive Director Achim Steiner: "One of the new and fundamental messages of this report is that renewable energies are no longer subject to the vagaries of rising and falling oil prices—they are becoming generating systems of choice for increasing numbers of power companies, communities and countries irrespective of the costs of fossil fuels. "The other key message is that this is no longer an industry solely dominated by developed country industries. Close to 10 per cent of investments are in China with around a fifth in total in the developing world. We will need many sustained steps towards the de-carbonizing of the global economy. It is clear that in respect to renewables those steps are getting underway." Says Yvo de Boer, Executive Secretary of the UN Convention on Climate Change: "As governments prepare to launch begin a new round of post-2012 climate change-related negotiations later this year, the report clearly shows that, amid much discussion about the 'technologies of tomorrow,' the finance sector believes the existing technologies of today can and will 'decarbonize' the energy mix provided the right policies and incentives are in place at the international level." The report represents "a strategic tool for understanding the energy sector's development in both OECD and developing countries," says Michael Liebreich, CEO of New Energy Finance Ltd, a leading provider of research and analysis on the clean energy and carbon markets, which prepared the report for UNEP's Paris-based Sustainable Energy Finance Initiative. It credits as well the November 2006 U.S. mid-term elections, which confirmed renewable energy as "a mainstream issue," moving it up the political agenda. Also spurring the sector's growth has been the persistently high price of oil - averaging more than $60 a barrel in 2006 (although one report conclusion is that the sector is becoming more independent of the price of oil). "Growing consumer awareness of renewable energy and energy efficiency - and their longer term potential for cheaper energy, and not just greener energy - has become another fundamental driver," it says. "Most importantly governments and politicians are introducing legislation and support mechanisms to enable the sector's development." Renewable energy and efficiency markets are growing more global and enjoying easier access to capital markets; Capital is coming from the venture investment community, the stock markets and internal refinancings, signaling the sector's a shift to a more mainstream status; Risk and uncertainly can be reduced through diversification across technologies and geography; Energy efficiency is a significant but largely invisible market, attracting increasing attention as investors realize its important role in meeting rising energy demand; Capital investors are now more closely aligned with industry proponents in their views of expected growth.Wind, solar, biofuels attract greatest investment dollarsRenewable energy sectors attracting the highest investment levels are wind, solar and biofuels, "reflecting technology maturity, policy incentives and investor appetite," according to the report, adding that the NEX index (www.tsx.com/en/nex/) of clean energy stocks increased 64% in the 15 months to April. Stock market investments in technology development, commercialization and manufacturing firms leapt 141% in 2006 compared with 2005, while venture capital and private equity investments jumped 167%. Financings of energy generation assets and capacity grew at "a more sedate 22.9%," the analysis says. age, the report says. The trend continues in 2007. Most asset financing deals were in the relatively mature wind sector, with biofuels (which experienced a surge of interest in 2006) in second place. Renewable energy investment is almost evenly split geographically between United States and Europe. U.S. companies receive more technology and private investment (with high profile investment interest shown in biofuels during 2006 by entrepreneurs such as Vinod Khosla, Bill Gates and Richard Branson). Europe's publicly quoted companies attracted the most public stock market investment dollars: $5.7 billion compared to $3.5 billion in the U.S.
billion, with initial public offerings (IPOs) of renewable energy companies particularly strong in the second and final quarters of 2006. Most energy efficiency investment has been in early-stage funding. Venture capital and private equity investment rose 54% between 2005 and 2006 to $1.1 billion. Some merger and acquisition activity also occurred in the energy efficiency industry, notably the Australian Bayard group's $705 million acquisition of US smart-metering company Cellnet in December. Investment in sustainable energy is still mostly in OECD countries, with the US and EU together accounting for more than 70% in 2006. However, investment in developing countries is growing quickly: 21% of the global total in 2006 occurred in developing countries, compared with 15% in 2004; A healthy 9% of global investment occurred in China, helped by significant asset financing activity in wind and biomass as well as the waste sectors. Investments in China came from across the spectrum, from venture capital through to public markets, "reflecting the country's increasingly prominent position in renewable energy"; India lagged a little behind China but was the largest buyer of companies abroad in 2006, most of them in the more established European markets; Latin America took 5% of global investment, most of which financed Brazilian bio-ethanol plants; Sub-Saharan Africa notably lagged behind other regions; Global government and corporate research and development spending rose 25% to $16.3 billion; Investments in small-scale projects rose 33% from an estimated $7 billion in 2005 to $9.3 billion in 2006.Small-scale projects attract growing interest, driven partly by opportunities in developing countries, which stand to benefit most from small-scale installations (e.g. solar roof panels and micro turbines). 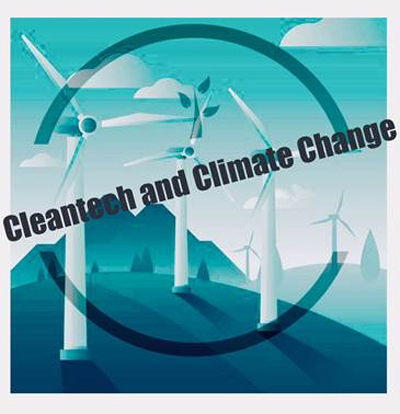 "The finance community has been investing at levels that imply expected disruptive change is now inevitable in the energy sector," says Eric Usher, Head of the Energy Finance Unit at UNEP's Paris-based Division of Technology Industry and Economics. "This report puts full stop to the idea of renewable energy being a fringe interest of environmentalists. It is now a mainstream commercial interest to investors and bankers alike." "This is a powerful signal of the arrival of an alternative future for today's fossil fuel-dominated energy markets," he adds. "Signals move markets and the signal in these investment numbers is that the sustainable energy markets are becoming more liquid, more globalized and more mainstream." POINT ROBERTS, Wash., Delta B.C., June 15, 2007 - www.InvestorIdeas.com, a leading global investor and industry research resource portal specialized in sector investing news, stock directories and research links, presents the Shrewd Speculators; Market and Sector Commentary with Kevin Sylla and Eric Axel. In this segment the Shrewd Speculators take a look at the recent flurry of solar IPO’s, specifically new Chinese solar entries to the market. As solar stocks experience volatility, the Shrewd Speculators discuss solar companies including Yingli Green Energy (NYSE: YGE), SunPower Corporation (NASDAQ: SPWR), Suntech Power Co., Ltd. (NYSE: STP) and others. Kevin Sylla discusses how the market and investors had to absorb the supply of multiple new entries into the market within a short period of time and as a result investors have not fully digested the potential. He feels investors may want to see the market mature as technologies improve. InvestorIdeas.com renewable energy portal, RenewableEnergyStocks.com, provides a valuable resource for investors and alternative energy public companies and industry participants. RenewableEnergyStocks.com® features industry and stock news, exclusive articles and financial columnists, audio interviews and Podcasts, investor conferences, Blogs, and a directory of stocks in the sector. www.RenewableEnergyStocks.com ®, www.FuelCellCarNews.com ®, www.EnvironmentStocks.com and www.GreentechInvestor.com are global investor and industry research portals in the renewable energy and Greentech sectors within InvestorIdeas.com. RenewableEnergyStocks.com provides a variety of renewable and clean energy content including the Clean Energy News Blog, Renewable Energy Blog, articles by solar expert, J. Peter Lynch, and a regular ‘green’ column: ‘The New Power Fund,’ by Samuel F. Jones, President of All Season Financial Advisors. InvestorIdeas.com® - www.InvestorIdeas.com is a leading global investor and industry research resource portal specialized in sector investing news, stock directories and research covering over thirty industry sectors and global markets. Podcast Disclaimer-All opinions expressed by the "Shrewd Speculators Podcast", with Kevin Sylla and Eric Axel are their own and do not reflect the opinions of Investorideas.com or its affiliates. investor and industry Greentech portals including RenewableEnergyStocks.com, showcase featured public company, electric transportation pioneer ZAP (OTC BB: ZAAP) in new Green Ads branding a new Wall Street Mantra “Green is Good.” The new Green ads reflect the global shift in the financial industry that created a cult-like following to movie character Gordon Gekko’s “Greed is Good” speech in the 80s. As Corporate America goes green, from Disney’s recent environmentally friendly changes at its theme park to Advertising Age magazine naming top “Eco-marketers” at its first Green Conference in New York City, it appears that this time the shift to eco-friendly business is not just a trend or merely a PR campaign, but a real and dramatic change in global corporate ethics. Green and environmental companies like ZAP (See right side bar of RenewableEnergyStocks.com for ZAP Green Ad) are gaining consumer confidence and interest as the growing green and ethical consumerism trends are fuelled by high gas prices going into the summer driving season. ZAP, gaining recognition in the marketplace, has also recently received substantial media coverage for its current line of affordable electric cars, priced in the $10,000 range. Next in line for the electric car manufacturer, ZAP is also working with Lotus Engineering to create the ZAP-X performance cars with an advanced battery system to enable the car to travel up to 350 miles between charges. The new green ads are formatted in the color green, have a text link with “Green Ad” above the ad and the phrase “Green is Good” embedded into the bottom of the ad in green text. Public and private companies can easily be identified in the marketplace as a green or environmental brand to the growing number of ethical and green investors and consumers. http://www.renewableenergystocks.com/ ®, http://www.fuelcellcarnews.com/ ®, http://www.environmentstocks.com/, http://www.water-stocks.com/ and http://www.greentechinvestor.com/ are global investor and industry research portals in the renewable energy, water and greentech sectors. First Solar, Inc. (NasdaqGM:FSLR - ) manufactures solar modules with an advanced thin film semiconductor process that significantly lowers solar electricity costs. By enabling clean renewable electricity at affordable prices, First Solar provides an economic alternative to peak conventional electricity and the related fossil fuel dependence, greenhouse gas emissions, and peak time grid constraints. For the technical traders who look for stock chart indicators - here is a renewable energy stock to watch based on the 50/200 day breakout . FuelCell Energy is the world leader in the development and production of stationary fuel cells for commercial, industrial, municipal and utility customers. FuelCell Energy's secure, ultra-clean and high efficiency DFC(r) fuel cells are generating power at over 60 installations worldwide. The company's power plants have generated more than 150 million kWh of power using a variety of fuels including renewable wastewater gas, biogas from beer, onion, and milk processing as well as natural gas and other hydrocarbon fuels. FuelCell Energy has partnerships with major power plant developers, trading companies and power companies around the world. The company also receives substantial funding from the US Department of Energy and other government agencies for the development of leading edge technologies such as hybrid fuel cell/turbine generators and solid oxide fuel cells. For more information please visit our website at http://www.fuelcellenergy.com. Wall Street has a new mantra changing Gordon Gekko's words that started a cult -like following "Greed is Good" to new eco friendly words "Green is Good" from Corporate leaders like Yahoo!- Yahoo for Good. Yahoo! is encouraging users to take action and reduce their CO2 emissions. With major companies and world financial leaders making strides to create a green future we created a new ad format for companies to show their green mantra - Green is Good! http://www.renewableenergystocks.com/®, http://www.fuelcellcarnews.com/®, http://www.environmentstocks.com/ and http://www.greentechinvestor.com/.global investor and industry research portals that look at the renewable energy and Greentech sectors. LDK Solar Co., Ltd., (NYSE:LDK) a manufacturer of multicrystalline solar wafers, announced today that its initial public offering of 17,384,000 American Depository Shares ("ADSs") . The shares were priced at US $27.00 per ADS.